In Mississippi, Lt. Gov. Phil Bryant is the Republican winner of the gubernatorial election, and will replace the term-limited Haley Barbour. He is a proponent of expanding the state’s film tax credit program which was launched this year, and co-hosted a film summit over the summer that focused on connecting the local business community to the film industry. Bryant will also preside over Blueprint Mississippi, an initiative launched during Barbour’s tenure that serves as strategic plan to revitalize the state, in part through the expansion of a creative and cultural economy. Bryant had also been a proponent of the state’s Personhood Amendment, which failed with 58% opposition. States with legislature elections were Louisiana, Mississippi, New Jersey, Virginia, and a special election in Iowa. It now appears Republicans will take party control of the Mississippi state House as well as the Virginia state senate. In Iowa, Democrat Liz Mathis won a special election to fill a state senate seat that was vacated when Governor Terry Branstad appointed Democratic Senator Swati Dandekar to an administrative position. The victory means that Democrats will maintain a razor-thin majority in the state senate. Also of note is the ousting of Arizona Senate President Russell Pearce via recall vote, making him the first recalled elected official in state history. Pearce was the author of Arizona’s controversial immigration legislation, SB 1070. On the mayoral front, incumbents dominated yesterday’s contests, and the arts appear to be in good hands in several large cities throughout the country. I’m also happy to note that three recipients of the Americans for the Arts Public Leadership in the Arts Awards won re-election: Mayor James Brainard of Carmel, IN; Mayor Michael Nutter of Philadelphia; and Mayor Joseph Riley of Charleston, SC. You can check out full results of yesterday’s mayoral elections at the US Conference of Mayors Election Center. Below are some highlights of key mayoral election outcomes. Mayor Stephanie Rawlings Blake (D) re-elected. Mayor Joseph Riley (D) re-elected. Winner of the 1999 Americans for the Arts Public Local Leadership in the Arts Award. 2010 Nancy Hanks Lecturer on Arts and Public Policy. Mayor Anthony Foxx (D) re-elected. 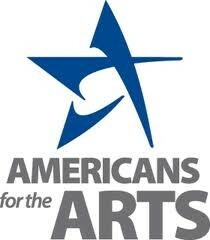 Strong advocacy voice and public funder of the arts and arts education in Charlotte. Fosters programs to build the creative economy throughout the regional area. Host of the Democratic National Convention in 2012. Mayor Michael Coleman (D) re-elected. Mayor Annise Parker (D) re-elected. Mayor Greg Ballard (R) re-elected. Mayor Michael Nutter (D) re-elected. In first budget, doubled Philadelphia Cultural Fund. Launched office of Arts, Culture & Creative Economy. Launched Philadelphia International Festival of the Arts. Incoming president of The United States Conference of Mayors. Testified before Congress for increased funding for the National Endowment for the Arts. Mayor-elect Greg Staunton (D) wins first term. View the candidate survey he completed for Arizona Citizens for the Arts. Mayor Ralph Becker (D) re-elected. Interim Mayor Edwin Lee (D) elected.